Harry Pye: What's it like being Pauline Black at the moment? 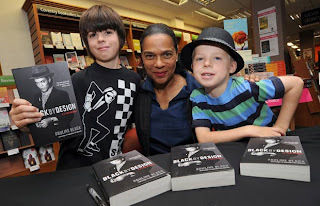 Pauline Black: "Feels very good Harry, & thank you for asking." Both your new CD and your book are getting good reviews and selling well. Do you feel blissfully happy or are you just knackered? 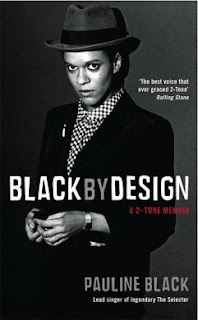 "The reviews for my book “Black By Design” have been universally excellent. People seem to have ‘got’ what I was trying to say. Likewise reviews for the new Selecter album “Made In Britain” have been solidly good. Promoting both the book and the album this summer, has been time-consuming but very exciting. So in answer to your question- most days find me very busy but blissfully happy. I have been doing several events for audiences at small bookshops. They are a great deal of fun and give me, as the writer, immediate feedback. Also it helps small bookshops sell books, because their profits are so squeezed by the online giants like Amazon. I’ve had some very moving experiences with people who were adopted in the fifties like me-it’s a small world out there." What do you like most about working with Gaps. What do you admire most about him as both a person and as a performer? "It’s great to share vocals again with somebody who is easy-going, moves so beautifully and has such a strong stage presence and singing style. Together we are quite formidable. He also writes good songs, which he delivers with an inimitable cool & stylish panache." 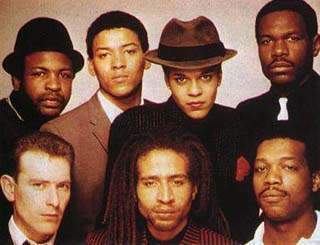 To what extent are you still pals with the first line-up of The Selecter? Is everyone who played on those first two albums still on your Christmas card list? "I don’t send Christmas cards to anybody, irrespective of whether I have ever worked with them. 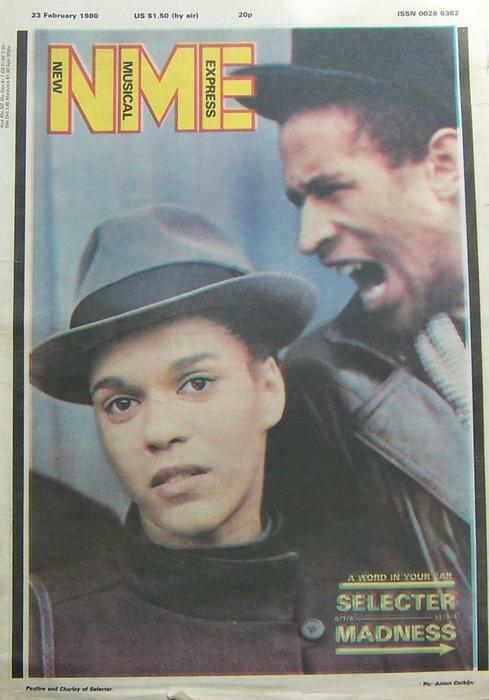 I wish everybody who has been in any of the many line-ups of the Selecter success in all they do in the future." Tony Blair recently said that that we have to accept that many of those arrested for taking part in the London riots were beyond help. Apparently the majority of those arrested in the riots had been arrested before. Were you surprised by what happened in the riots and what do you think of the protesters? "Riots have happened throughout history, so why we should be quite so surprised by this latest disturbance seems odd. When there are thieves in the banks and in Government, is it any wonder that those who do not have much of a stake in society consider robbing private property an option to get what they want. Nonetheless, I do not believe that rioting is the way for them to solve their problems." In your book you mention Madness and you imply they didn't do enough to tell NF thugs who came to their shows that they weren't welcome. Did you feel genuine anger at the situation at the time? Are you a Madness fan aside from this problem? "Madness is a very talented band that continues to evolve and produce new music. I merely thought that it was a missed opportunity by them in the early days of 2-tone." Smiley Culture died recently whilst in Police custody. Apparently 90 people since 1990 have died whilst in Police custody and no officer has ever been investigated fully or charged with anything. 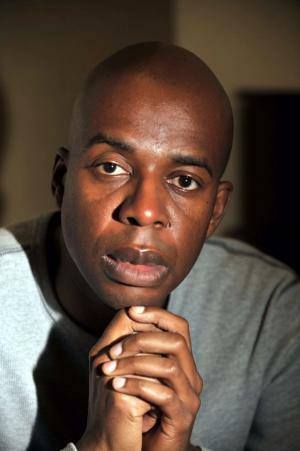 Smiley Culture is said to have stabbed himself and was then handcuffed etc What are your feelings about Smiley Culture and the relationship between the police and the black community? "I thought Smiley Culture was a very perceptive artist & musician. He was a frequent guest on a programme I presented for Channel 4 “Black On Black” in the mid 80s and very much loved by our black audience. Ever since I can remember there has been tension between the police and the black community. The ’sus’ laws that were in place in the late 70’s did much to provoke the situation back then and were largely responsible for the riots in the early 80’s. Your assertion that 90 black people have died in police custody since 1990, without a police officer ever being charged with anything proves that it is a very unsatisfactory situation if the police force is allowed to investigate themselves when these kinds of tragedies happen. There should be full, open, independent inquiries into all of these deaths- perhaps then the truth would be seen more clearly." What next for Pauline Black? 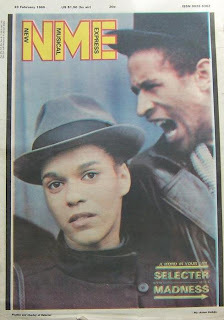 "I’ve started writing my first novel (working title - “The Last Supper”) & work has begun on another Selecter album." Are you ever surprised by Selecter fans? "Constantly- I am surprised by their continuing enthusiasm for our music and knowledge of our history." The group, No Doubt absolutely love you - do you have any other celebrity fans? "We toured with No Doubt in 1997 in America and had a great time. I was very pleased when Gwen Stefani cited our album “Celebrate The Bullet’ in her all-time Top 5 albums in Elle magazine a couple of months ago. She’s obviously got good taste! I don’t know any other “celebrities”, therefore I have no idea of their musical tastes - although somebody told me that the right wing rag, the Daily Mail, reported that the Queen Mum liked a bit of ska in the 60’s! Skanking to old-school ska at Balmoral must have made her jewelry rattle." What were Serpent's Tail like to work with? Why were they the right publisher for you? "Serpent’s Tail was the second publisher to read my book and came back with an offer straight away. I accepted immediately. I believe that Black by Design found the perfect home at Serpent's Tail. I had long admired their maverick commitment to new voices and in particular the diversity and breadth of their catalogue, which encompasses my favourite literary period the ‘Harlem Renaissance’. It is an enormous thrill for my book to be on such a list." 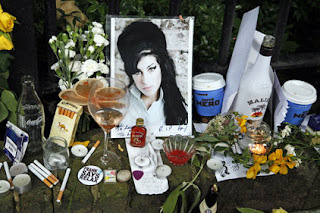 You were very moved by Amy Winehouse's music and I read somewhere that you said you believed that in the future her songs would become standards. Are there any other performers/writers around now that you rate as highly? "An artist like Amy Winehouse happens once in a generation. I feel very privileged to have been able to enjoy her work during my lifetime. There have been such artists in the past and there will be more in the future, but right now, I can’t think of another one." Bradford based Imani Hekima is a brilliant, soulful singer with a great vocal range. I love it when his voice goes high as it reminds me of both Imagination’s Leee John and David McAlmont. He is also a gifted musician and arranger. This CD (which is due out this Autumn) has lots of lovely little hooks and grooves and on tracks like “We’re Losing Faith” we get to hear him show off his impressive piano skills. Influence wise I’d say that this album contains a bit of Bob Marley, a pinch of Stevie Wonder, a sprinkling of The Selecter (circa “Celebrate The Bullet”) and a big dollop of Aswad (in the early days when they were good) All of which is fine with me. Listening closely to Hekima’s no nonsense lyrics his message tends to be a pretty basic: think for yourself and do the right thing. Imani looks outside his window and sees a world filled with people with “too much time on their hands and too much nonsense in their heads” There are bad times just around the corner. This album is nowhere near as bleak as say Lennon’s Plastic Ono Band or Dusk by The The. But when Bob Dylan recorded his Blowing in the Wind the album he balanced the serious stuff with throwaway love songs like “Honey give me one more chance”. Likewise, on Lenny Kravitz’s “Let Love Rule” debut although the overall tone was “The world has gone wrong / We’re all doomed unless we change the way we treat each other” the CD ended with the silly knees-up Flower Child. My only petty quibble with Imani's release is that there's an absence of fun and frivolity. Imani writes, performs and co produces all the tracks. One can tell a lot of love has gone into making this album and it’s obvious he is very talented. I hope it does well, it deserves to. Maybe his next collection of songs will be more up. In the future it would be nice to occasionally hear him either just having a laugh or singing a few silly love songs. But, as I said, Hekima has delivered a really good album. Few would deny Imani’s work is very impressive indeed.